Day 36. Played Cypress Tree at Maxwell AFB. 1st time here, walked and really enjoyed it even though it was a tad chilly. Holed out from 127 on #7 for my 1st Eagle of the New Year. Shot 87, with only 27 putts, so I obviously missed a lot of greens. Will work on irons rest of week. Day 29. Hit balls on the range for about an hr. I played thru my favorite course in my mind. 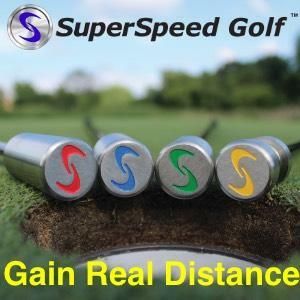 Example - 1st hole, envisioned myself on the tee box and picked my aiming point and for the 2nd shot estimated how far out I'd have been, pulled out a 9 iron, picked my aiming point, etc. Did this for the full 18 holes (obviously no putting). If I felt like I missed an approach, I'd hit a short chip to a target. Luckily the range has a very good variety of flags and targets at well marked distances from 30 yards to 275 yards. I still had a few balls left at the end so I just worked on 40 yard chips. 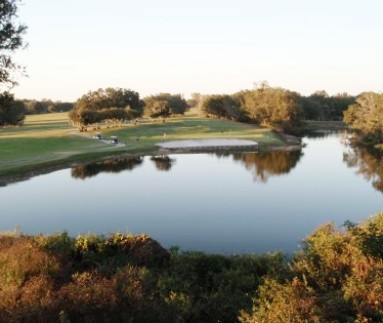 Day 27 (Jan 1, 2019) - played in the hangover open at my local course. 22 of us made it, I finished 5th with a net 73. Had it not been for poor play on the par 5's (7, 7, 8, 6) I'd have done much better. Typically those holes aren't the ones that trouble me, so it was an odd day. Lots of pars and a birdie on 18 that paid a skin made it a great day. Day 28 (Jan 2, 2019) - hit the driving range at daylight and hit a bucket of balls with my pitching wedge. That was my biggest issue over the last 2 rounds played, hitting those shots from 90-120 and getting GIR's. I think I found what I was doing, and improved some this morning. We'll find out soon enough as I plan to play 9 holes after work tomorrow. Day 26. Played 18 this morning. We were 1st two off the tee at just before 7am. Shot 86 with a quad and a double. Hit 9 fairways but only 1 GIR all day. 27 total putts, no 3 bangers. Easily could have shot 5 or 6 strokes better if my 8 and 9 iron shots could have been better. Day 21. I added half a degree of loft to my driver last night and wanted to test that out today. So - went to the range and hit a small bucket of balls. I only hit a dozen drives, and loved the results. I warmed up like normal, with wedge, then 9, then 7 and 5 irons before hitting the driver. The back of the range is 270, and I carried three of the first 4 balls out, 7 in all. Little to no spray, probably less than 20 yards left to right from each other. I hit a pretty straight ball and the added loft didn't change that. Between practicing more than ever in my life, losing 33 pounds and doing cardio 3-5 times a week, I feel like I've never struck the ball better than I am right now. My HC isn't showing it yet, but I believe it will. I'll be in Alabama for work for 7 weeks in Jan/Feb and plan to continue the practice routine and get out and play as much as possible on weekends. Hopefully, the weather will cooperate. Day 17 was Sunday. Just an hr of putting. 6 ft, 8 ft and 10 ft. 50 from each distance at 5 diff locations. Best run was actually from 8 ft...rt to lft break of about a cup where I made 8 in a row. Day 18 today. Driver drills. Trying to work on that little butter cut. I typically hit a very straight or slight draw....and right hand doglegs often leave me further on 2nd shots than I like. Day 16. Spent 2 hrs at the range. Hit a lot of mid irons and 3 wood....just working on getting hands thru the shot and transitioning weight properly. I really hut the ball well today....very happy with recent improvements. I then spent about 30 mintues putting, the green was really soft due to the recent rain which also slowed it down alot and forced me to adjust quite a bit from its normal condition. Still did well on my drills from 6 to 15 feet. #15 was yesterday.....just indoor putting due to the rain. #16 today - more of the same. #14. Practiced woth 6, 7, and 8 irons today. Plus about 30 minutea of putting from 10 feet. #13. Hit wedge shot at a 50 and a 60 yard pin. Goal was to hit 3 in a row inside 10 ft before switching targets. Did it twice at 50 and once at 60. Lots of 2 in a row, and even holed out one from 60. 3 in a row is tough but its a drill I like. #11. Putting practice. Focus is in repeating my set up, stance, balance and motion. This focus has really helped decrease avg putts per round over the past couple of months. #10. Worked on follow thru and weight transition today....didnt hit any balls, just swinging a club and repeating a good motion. 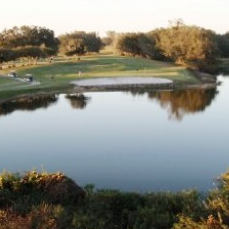 Played a course I found online that is nearby that I had never heard of in Ruskin, FL. Shot pretty well considering I was playing it for the first time. 41/45....with 2 balls finding water that I couldn't see from the teebox. I did hit 11 fairways, so that part of my game was pretty solid. Day 9 today. Played 18 on a local par 70 course that I hadn't played before. Great little track on a breezy day. Shot 41/45. Just one 3 putt where I started out 58 ft away and missed an 8 footer for par. Hit 10 fairways but only 4 greens. That is exactly what I have to improve on!